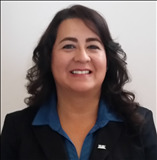 My name is Minerva Rayos and I have been selling Real Estate since 2005 in Las Cruces and the South Valley (Anthony, Berino, Chamberino, Chaparral, La Mesa, Mesilla, Mesquite, Santa Teresa, Sunland Park and Vado) as a Multi Million Dollar Producer. I have been with EXIT Realty Horizons since 2012. I am experienced in all facets of the Real Estate Industry to include: Commercial, Country Estates, Horse Properties, Mobile Homes, New Home Sales, Pecan Orchards, Residential, Vacant Land Sales, Short Sales and Foreclosures. My pledge to you: By selecting me as your Realtor you are also selecting EXIT Realty Horizons as your team with over 80 agents. I am dedicated to providing you with excellent customer service, whether it is buying or selling a property. I will provide you honest, dependable, loyal care when it comes to your goals. My goal is to make your transaction a smooth and happy experience. So don't wait, Call Me Now at 915-497-1697 and lets get started. Personal Information: I was born in El Paso, TX, when I married at the young age of 20, we moved to Anthony, NM because it was the half way point to my parents in El Paso, TX and his parents in La Mesa, NM. My family has lived in the Valley for over 3 generations and I have lived in the Valley for over 30 years. I am now divorced with a teenage daughter and still living in the Val. I am very proud to be a Realtor with EXIT Realty Horizons and would love to help you buy or sell a property and also to talk with you about joining our family of Realtors using the Exit Formula.